Take a trip with us through over ancient temples and streets within Athens, before gliding over mountains covered in rustic villages and olive trees. Beautiful, clear Greek beaches and harbours house both old, wooden boats and colourful fish, while the whitewashed towns are a hive of activity, between markets and clubs and cliff-side bars. 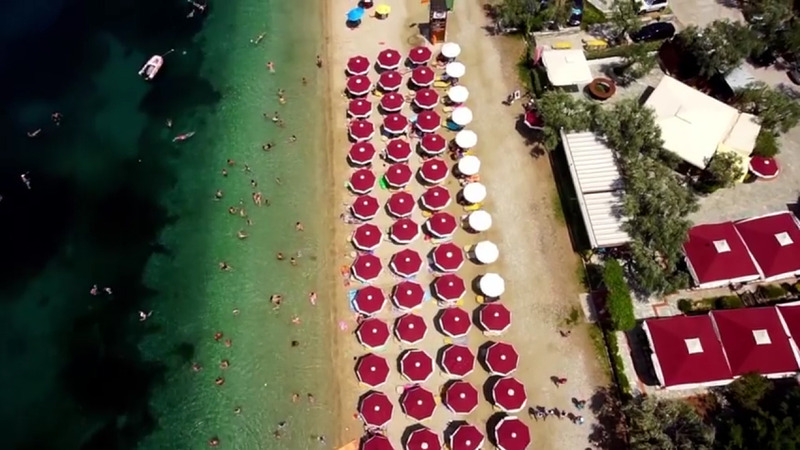 View from Above is filmed with top-end GoPro cameras mounted onto high-tech DJI unmanned drones as they fly over a country steeped in history as old as time itself: Greece. Every visitor to Greece should pass through Athens, but by no means should it just be a stopover before continuing to other attractions. Just because it is a busy metropolis does not mean that the shy tourist should keep from visiting the ancient yet trendy landmarks. Greece seethes with history and the classical Greek architecture makes its presence felt in every corner of this beautiful country, no corner more so than Athens. 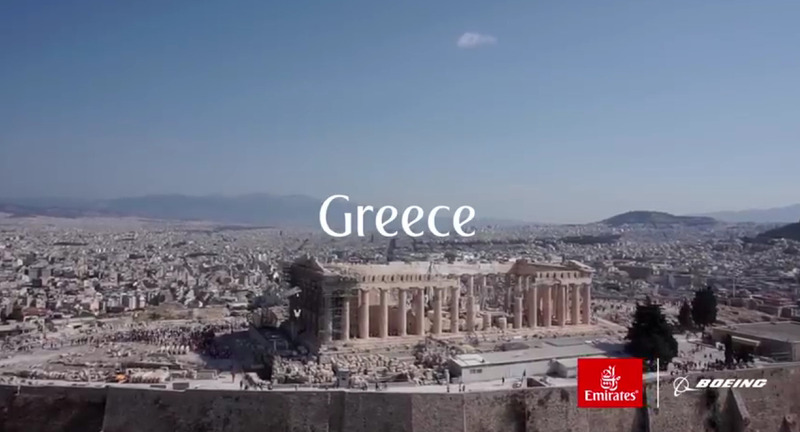 The Acropolis is one of the world’s most amazing historical complexes, and the Parthenon is its jewel. The temple to Athena, the Greek god after which the city was named, is a landmark that encapsulates all that is ancient Greece. But the Parthenon should not be the only Greek temple on the visitor’s itinerary. The Erechtheion, a temple to Poseidon, and the Temple to Hephaestus are equally impressive ancient constructs. Make sure that you visit the National Archaeological Museum for the most impressive examination into the lives of the members of this ancient civilisation. A visit to the Plaka district of Athens is like taking a step back in time, allowing you to walk the streets like Athenians did thousands of years ago. Visitors will be able to sample the traditional Greek fare in these old districts, and stopping by a restaurant like that of the popular Karamanlidika, you can wrap your mouth around Greek dips, olives, dolmades, moussaka, souvlaki, fresh fish and baklava. Make sure to visit the popular Monastiraki market by day, and hit the streets and popular clubs like the Island Club by night. A trip directly north out of Athens, visitors will come to the great breadbasket of Greece, Thessaly. Thessaly is home to the iconic rustic olive tree-scattered mountains and villages. The region is often forgotten by visitors, but they really should make the trip to see the great Meteora Greek-orthodox cathedrals atop great pillar-like peaks. Along Thessaly’s coast is the wonderful Mount Pelion and its Pelion peninsula. The area is home to great beaches, like Papa Nero, and small coastal towns like Afissos, which harbours quaint little Greek boats. Mountain towns like Milies and Makrinitsa are lovely little locations in which to relax for a weekend, and whether sipping Greek coffee on its pebbled streets or taking a hike in the surrounding mountains, visitors will be in their element. Other popular island destinations, such as Santorini and Crete, are also incredibly unique and gorgeous. Whether traveling Santorini’s black volcanic beaches and whitewashed towns, or Crete’s Venetian and Roman ruins and landmarks, few islands should be missed. Greece is both unique as well as diverse, and its ancient connections are visible to even the inattentive eye. Wherever the wanderer will go, they will marvel at the wonder that is Greece.